Introducing the hugely talented neo-soulstress Faye B. Based in Switzerland, and originally set-up by DJ Soulchild, Faye is destined to captivate listeners with her unique, strong, soulful voice, striking stage presence and natural charm. 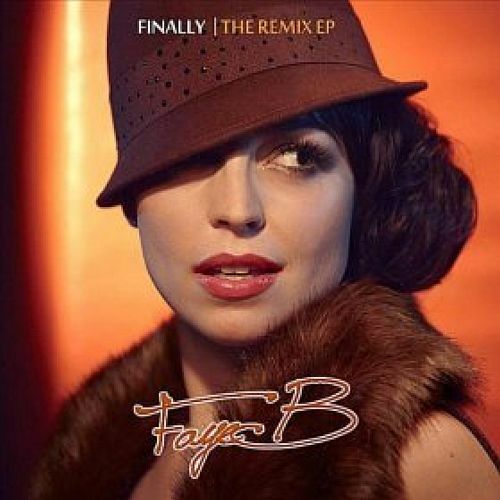 Faye’s upcoming debut album “ARRIVAL” is currently in working progress and boasts an impressive array of international collaborators, including U.S. hit-maker MARTIN KEMBER (2Pac, Raphael Saadiq, Chanté Moore, Kenny Lattimore, Frankie J, etc. ), UK top-producers THE ILLIONNAIRES (Jessie J., Musiq Soulchild, Beverley Knight, Craig David, Lemar, etc. ), 2DARC ENTERTAINMENT (Usher, Ledisi, Mica Paris, TQ), UK Hip-Hop legend FUNKY DL, official Amy Winehouse keyboarder XANTONÉ BLACQ and France’s hot newcomer-producer STEPH ONE, amongst others. Lead-cut is the gorgeous ‘Finally’, currently at #18 on the UK Soul Charts.